This is the first time Streaming Media has created a State of Live Video report for the Sourcebook, but in 2015, live streaming took a quantum leap forward. Sharing, immediacy, and connectedness work online, and live video combines all those elements. Live video lets viewers around the world take part in an event as if they were there, whether it’s a star-studded concert or just someone showing off her neighborhood on Periscope. Live video is breaking news, letting people see events around the world as they happen. Live video takes us backstage at the biggest award shows. 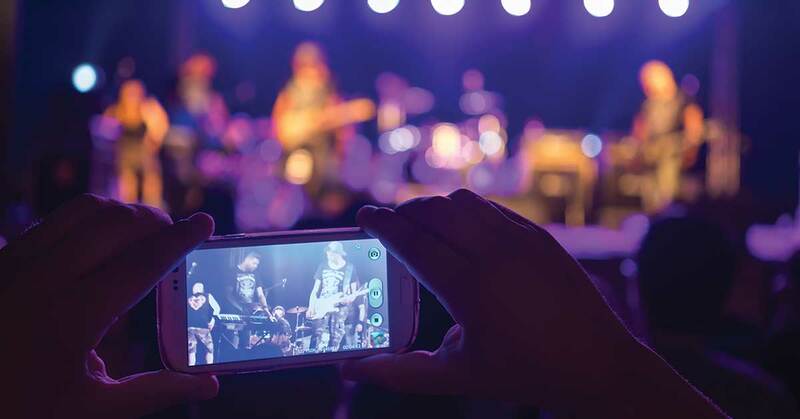 Thanks to always-connected mobile devices and low-bandwidth video, people can tap into live events wherever they happen to be. And thanks to the rise of virtual reality, live video was especially immersive in 2015, letting us look around new locations as if we were there. Live video is even beloved by advertisers, since it creates unskippable moments that are ideal for brand involvement. Live video is going to be even more of a force in 2016, but before we get there let’s recap the highlights of the previous year. Perhaps the biggest area for live video is gaming, a category that people over 40 still have trouble believing is popular. But watching people play video games isn’t just popular, it’s astronomically popular. Category leader Twitch was acquired by Amazon in August 2014 for $970 million. That site claimed more than 1.5 million broadcasters and 100 million monthly visitors in 2015. To get in on the gold rush, YouTube launched YouTube Gaming in August 2015. While YouTube already featured plenty of gaming content, the new site created a dedicated destination with pages for more than 25,000 games—everything from Asteroids to Zelda, the announcement read. YouTube upgraded its live video capabilities so broadcasters didn’t need to schedule live events ahead of time. The site offers DVR controls, so viewers can jump back in a live stream, and iOS and Android apps. According to a YouTube blog post from October, viewers watch more than 144 billion minutes of gaming videos each month on the site. “We wanted to create a one-stop shop for all gaming content,” YouTube’s head of gaming, Ryan Wyatt, told the BBC. In the world of traditional sports, the NFL announced in September 2015 that it would stream six games that season without requiring authentication. Two of those games were regular season games, and four were AFC playoff contests. The NFL’s biggest streaming announcement, however, was that Yahoo would stream a game between the Buffalo Bills and the Jacksonville Jaguars, live from London on Oct. 25. That stream didn’t require authentication either. Yahoo counted that event a major success, and two members of its live video team delivered a Streaming Media West keynote to explain how the company pulled it off. Yahoo claims to have served up 33 million streams to 15 million unique viewers. One-third of those views came from outside the U.S.
“We didn’t want to make the user experience as good as TV; we wanted to make it better than TV,” P.P.S. Narayan, Yahoo’s vice president of engineering, said during the keynote. After the broadcast, however, there were cries that Yahoo had inflated its numbers by putting autoplay video of the game at the top of many of its properties, then counting anyone who happened to visit those pages as viewers. Fortune noted that Yahoo streamed 460 million total minutes of the game, with an average viewing time of around 30 minutes, and that for a close game, it’s unlikely that many people watched a half-hour and then left. The Verge piled on, saying the game had an average viewership of 2.4 million people per minute—higher than previous records for live NFL streams, but well below the 10 million to 20 million that televised games routinely pull in. 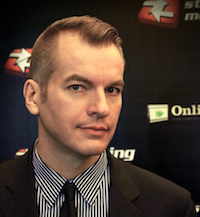 Awards shows proved significant draws for live video in 2015. Event producers didn’t stream the actual awards live—the networks that paid for broadcast rights would certainly have a problem with that—but created pre- and post-show live opportunities that both heightened interest in the awards and gave fans a deeper sense of involvement. In April, a feature in Streaming Media magazine brought viewers behind the scenes of the live streaming preparations for the 57th Grammy Awards. Partner All Mobile Video Digital Media (which acquired AEG in 2014) supervised the 9-hour-plus live webcast, which streamed more than 7 million viewing sessions to 1.2 million music lovers. In August, MTV pushed the envelope on award show live streaming when it delivered two virtual reality live streams ahead of its Video Music Awards. One stream offered fans a view of the red carpet, where they could watch their favorite performers speak to the press. Since the stream was captured with a 360-degree camera, viewers were free to look around the room, watching how the press, celebrity handlers, and fans interacted. MTV created a second VR experience by loading a circular pen with adorable puppies, then putting a VR camera in the middle. Fans saw candid moments as performers strolled by and interacted with the dogs. Both live VR streams attracted nearly 100,000 viewers. MTV was experimenting with the technology, and was only looking for feedback. “If our viewers online tell us that we told them yet another story around the red carpet as a result of this emerging technology, kaboom, that’s a win,” says Jeff Jacobs, senior vice president of production planning, strategies, and operations for MTV Networks. Live video was about more than just major events in 2015. Both Meerkat and Periscope launched in 2015, giving anyone with a phone and an internet connection the ability to stream their experiences live to a global audience. The emerging technology ran into some controversy in May, as many used it to avoid the $99 pay-per-view fee for a boxing match between Floyd Mayweather and Manny Pacquiao. Facebook got into live video streaming later in the year, starting with celebrity involvement. The future of personal live video streaming is uncertain, however. As 2016 begins, it looks like it was a fad, not something viewers want to tune into regularly. Clearly, live streaming is just getting started. To find out what 2016 will bring, we turn to our experts. What should viewers expect in live video in 2016? More. More concerts, more events, more sports. More of everything, in fact, except social networking. There we might see less. The story isn’t just about entertainment deals. These live experiences are made possible by a variety of hardware investments that provide the network needed to bring live HD video from remote locations to the home. That’s something Mark Peters, principal consultant for IBB Consulting, knows well. Consumer expectations are rapidly changing, and viewers know they can stream big-screen, HD experiences without worrying about buffering. That gives them the push to sample more live events. All eyes were on Facebook Live last year, but the entire live streaming sector is undergoing explosive growth. Sports, TV streams, and personal video apps are all getting an upgrade. Members in over 30 countries can now share live video via Facebook, a number that will expand in the coming weeks, the company said. The final steps in the live streaming workflow—delivery and analytics—are in some ways the most vexing, but they're crucial measuring the success of any event or channel. 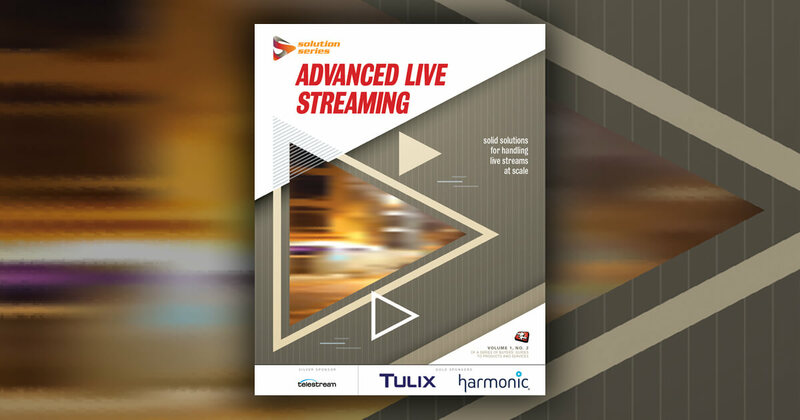 Today's live webcasts generate significant amounts of metadata that must be synchronized with live streams, and the content itself must be properly protected for live delivery and packaged for VOD syndication. In this panel you'll find monetization experts who will break down the challenges facing live event monetization and offer insights into innovative ways to make sure you're not leaving money on the table.